To weed or not to weed…that is the question!? Weeds can be the bane of people’s lives when it comes to their grounds, but there are ways to tackle them and keep them at bay (even if momentarily). “Pull when wet; hoe when dry” - After a good old British downpour is always a good time to book in a weeding session when the soil is wet and loose, and so easy to pull out the weeds, roots and all! When faced with drier weather, like we’ve had this summer, it’s time to bring out the trusty hoe. Weeds sliced off just below the soil line should promptly shrivel up and die. “Off with their heads” - When you can’t remove weeds, the next best thing is to chop off their heads. With annual weeds, dead­heading buys you a few weeks of time before the weed “seed rain” begins. Chopping down weeds before they go to seed will help keep them from spreading. Bark - If you don’t give weeds the chance to see the light, that will help keep them at bay. Bark is great for suffocating small weeds and retaining moisture. Bark needs to be a good depth of 40-50mm to work its magic. Amenity bark is ok too, fairly economical as you can buy it in bulk bags. 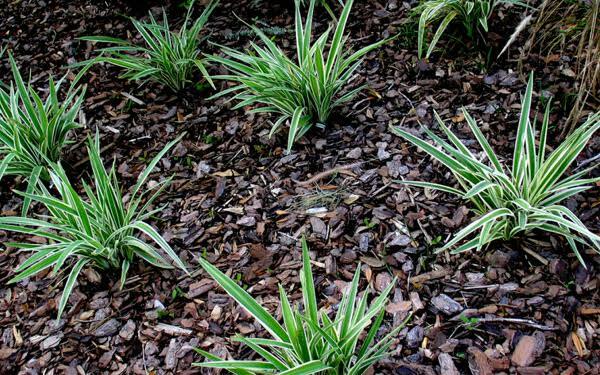 Make sure you keep topping up the mulch to smother out any new weeds. Organic matter - Enriching your soil with organic matter every chance you get can help with deterring weeds. Apparently, fewer weed seeds germinate in soil that contains fresh infusions of organic matter (or good compost). I suppose it does make sense that a healthy and well-fed soil would deter weeds. I’m often asked for a no maintenance garden – "move to a flat" is my answer. I’m afraid there is no such thing as no maintenance, but we can achieve low maintenance.